While at a college you have great opportunity to learn one of the programming languages. If you are in humanities or take the non-technical course, but you see programming as your future, why not to start studying it now? You may find in various sources which say that Scala is quite a complex programming language for beginners. But in fact, it will be so only if you start using all Scala features at a time. In this article, we will tell you about the necessary information about Scala, salaries, and sources that you will need to start exploring it. Scala (Scalable Language) is a programming language that is a combination of Java and C #. This language combines object-oriented programming with a functional approach. The Scala authors have decided that the language should work on the JVM virtual machine and provide access to Java libraries. It is a very concise and expressive language. For example, codes in Java and Scala will have a different length. Scala simplifies the code structure, and this leads to minimize bugs. It provides powerful tools for creating beautiful and straightforward programs. Scala gives you shape the concepts of data mutability, side effects, and high-order functions. Many large companies have appreciated the benefits of Scala – Twitter, LinkedIn, Foursquare, Novell, Siemens, GridGain, The Guardian. However, in academic circles, this language is still more popular. According to the FreeCodeCamp, Scala is in the top-10 best programming languages in 2018. The rating was based on current state, tendencies, and future predictions in the IT industry. 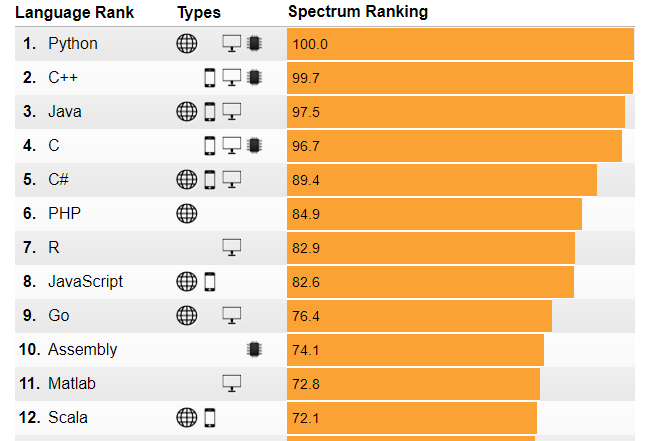 IEEE Spectrum has presented rankings of the top programming languages. The statistics were based on interest to programming language and popularity among employees. StackOverflow (one of the largest community of software developers) surveyed developers considering various factors. 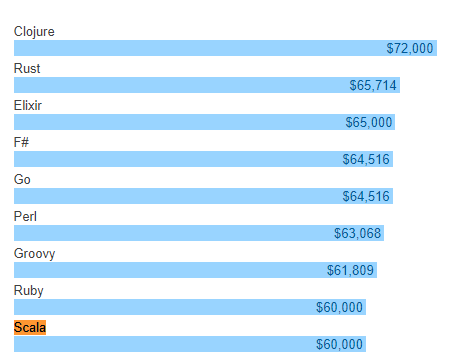 For example, Scala is on the top-10 of best-payed technologies worldwide. • Plan your time wisely. You need to have time to do homework for your current course, time for a programming course and have some time for sleeping and leisure. If you are sure that programming is your future, ask someone to help you with homework or buy an essay online. • Some of the courses are paid, so read reviews on the course and compare various options to pick the most effective. Also, think whether you need a certificate or not. Some of the materials can be found on the internet for free. Also, track websites like Coursera and Udemy for discounts. 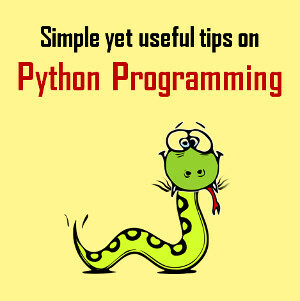 • If you are new to programming, you will need to read some information about programming architecture and algorithms. Look through available courses and books. Also, you will need to explore Java libraries to improve your skills. Many people that use Scala for coding participate in its improvement. Scala lets you create your own style of programming and join the rows of passionate programmers that are ready to discuss and help with occurring difficulties. There is no easy path to becoming a Scala programmer or programmer at all. All you have is your desire and efforts. Try to implement your knowledge on practice and write your own program as soon as you explore the basics. And the last bonus, if you will get rid of Scala, you will enjoy great career opportunities.